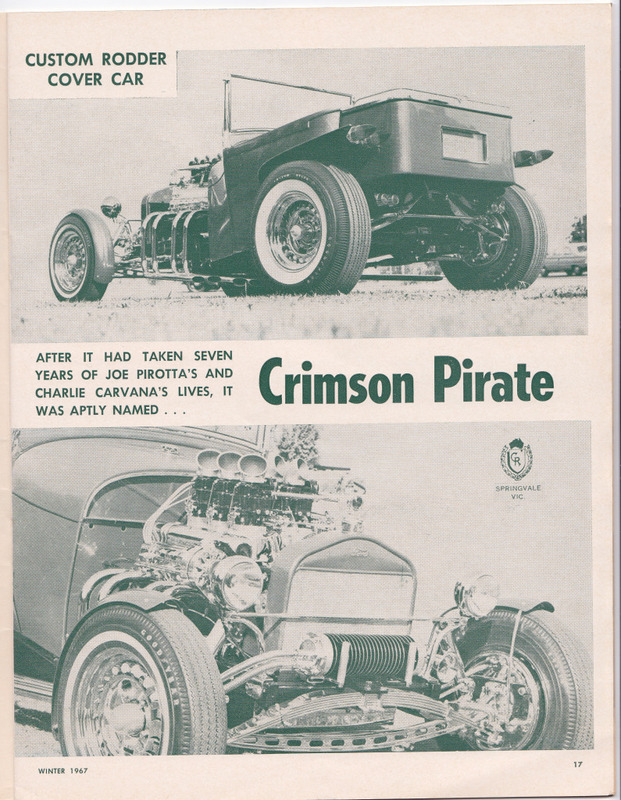 When you’re talking significant Aussie show rods, one name is always bound to come up – The Crimson Pirate. 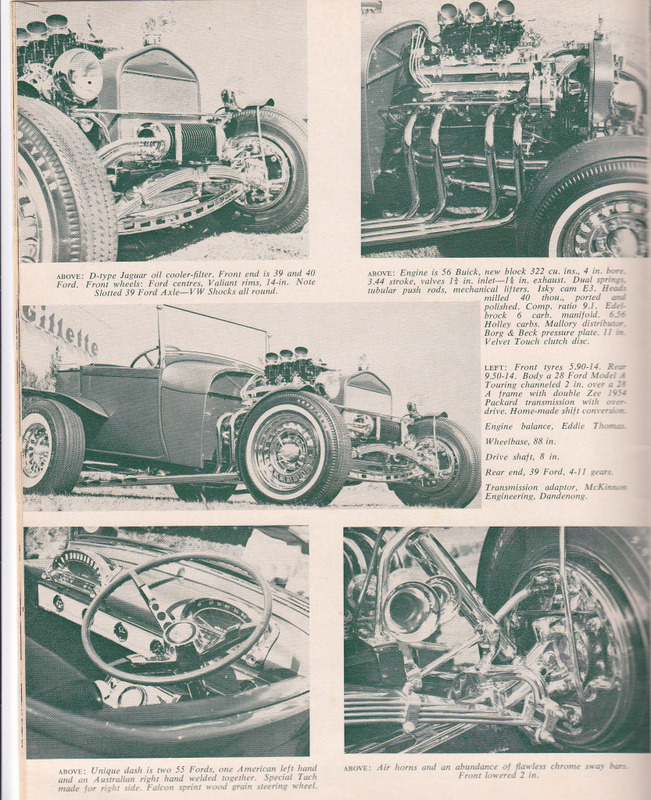 Built by Joe Pirotta and Charlie Carvana in the 60s, it was one seriously wild piece of gear. Check out those awesome wings, the blinding chrome front end, and that sextet of Hollies straddling that glorious Buick donk. 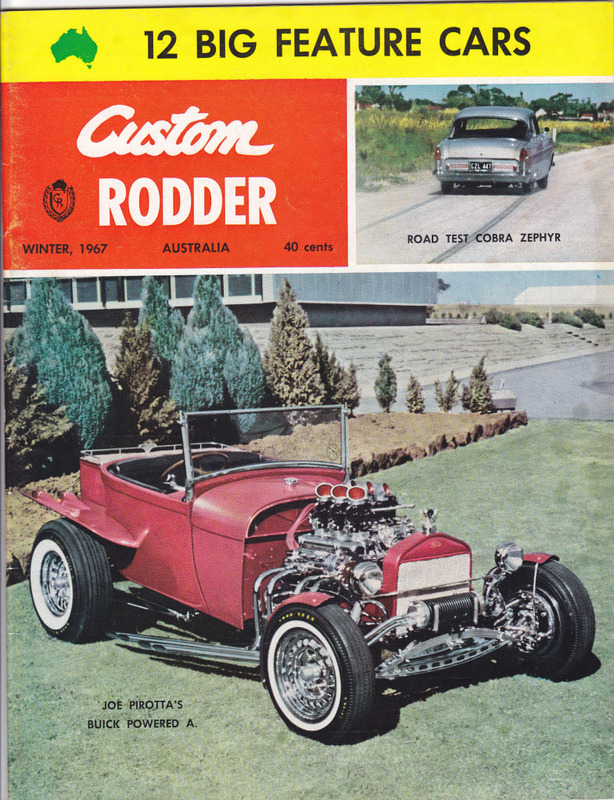 Needless to say it was the object of many a mans affections, and even took out People’s Choice at the ’67 Melbourne rod show. 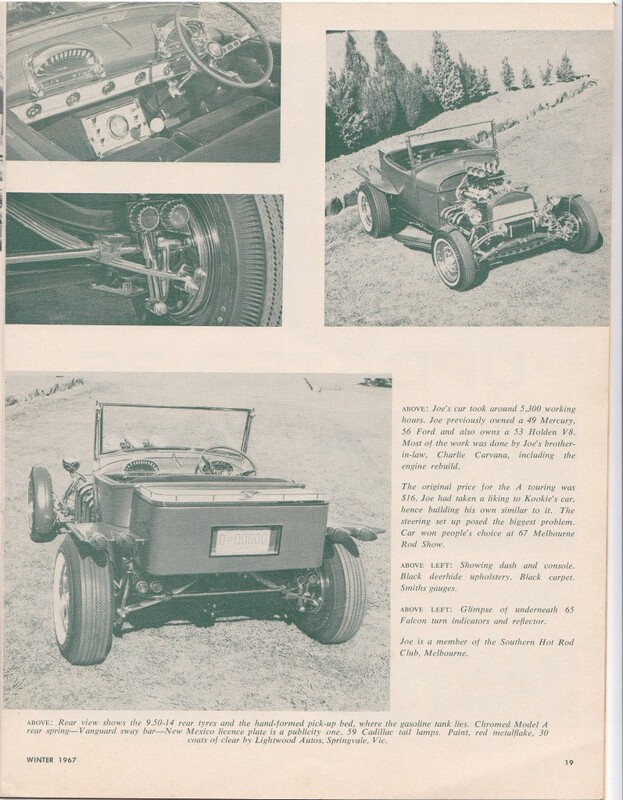 The good news is it’s still in the same hands, and still very much in good condition, as you can see by this pic below. 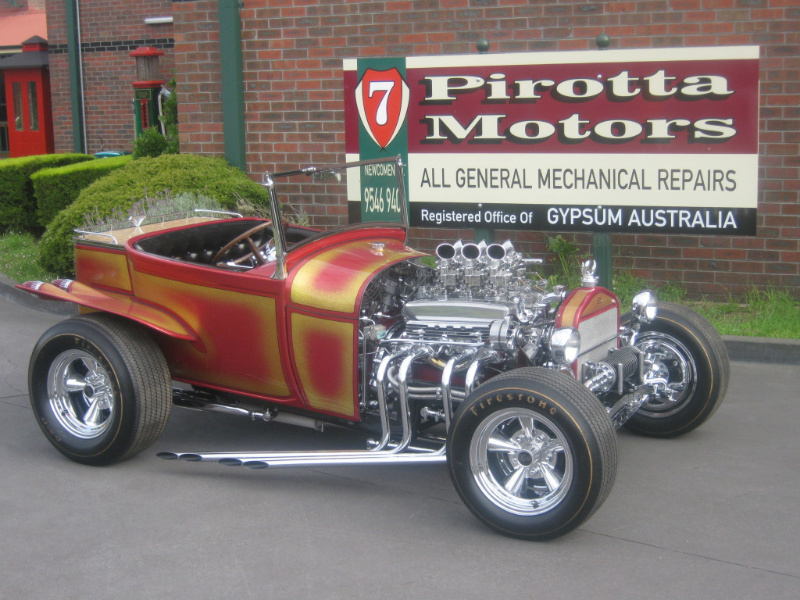 To see more pics of how she looks today, click here to check out the link on ozrodders forum. Thanks to bartaxr8 for posting the pics!